Great accuracy with both 168g & 175g bullets. Ultimate Long range outfit. Comes with 8-32x56 Sightron siiiss Scope & mounts. 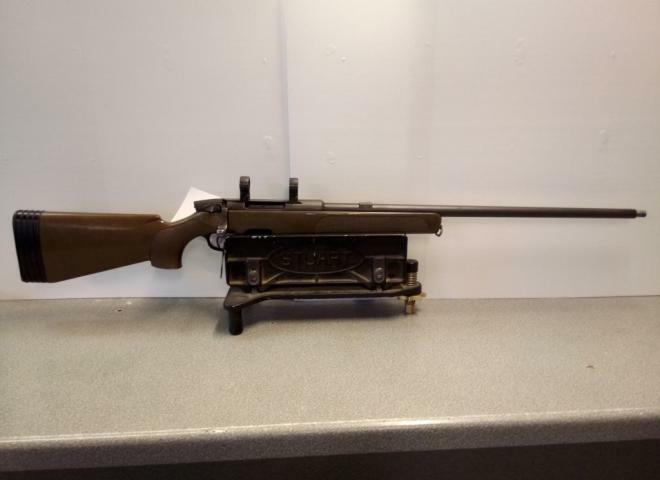 muzzel break, hard motor case, Fortmier Tatical Bi pod ,T8 Sound Mod & folding stock..
A rare find,.Steyr Zephyr mark 1 in good all round condition There are a few marks on the stock which will be easy to remove the bore is perfect and it is accurate now reduced for Quick Sale ,No px. Good condition, a few marks but nothing major. It has the brilliant set trigger and a 5 round, low profile magazine that sits flush in the stock. Based on mannlicher fullbore rifle. hammer forged barrel. The new Steyr zephyr 2 rifle fantastic looking, hammer forged barrel, classic mannlicher butter knife bolt handle, selected walnut stock. Good condition and comes with ASE Ultra Jet 7 moderator. 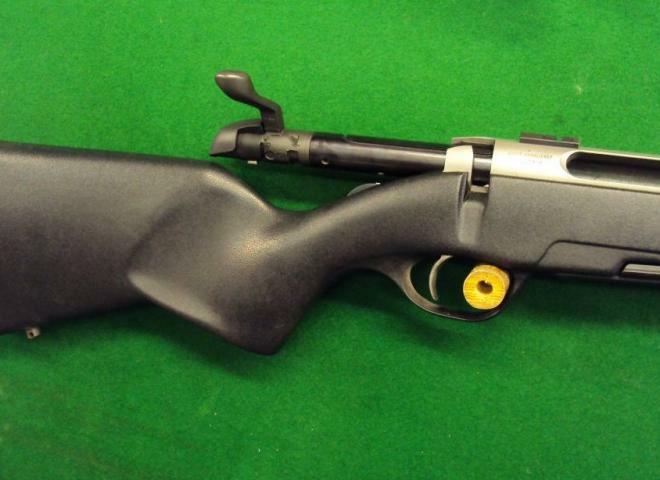 .243 Steyr Daimler Puch A.G. Steyr Mannlicher Model L Bolt Action Stutzen Rifle. 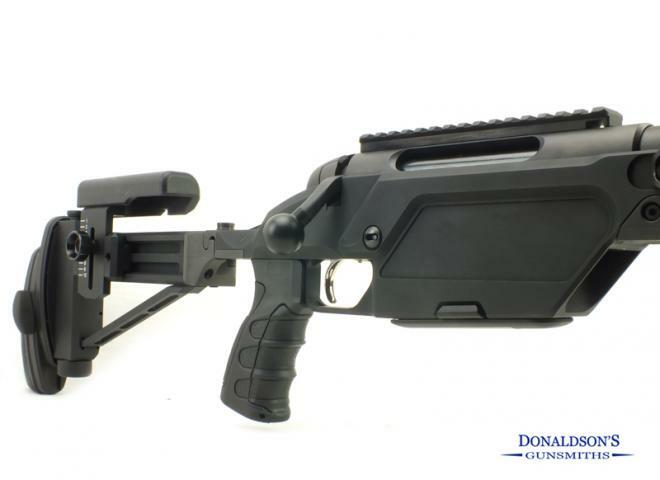 A high quality Austrian rifle , detachable magazine , 23" inch barrel , Threaded for moderator. 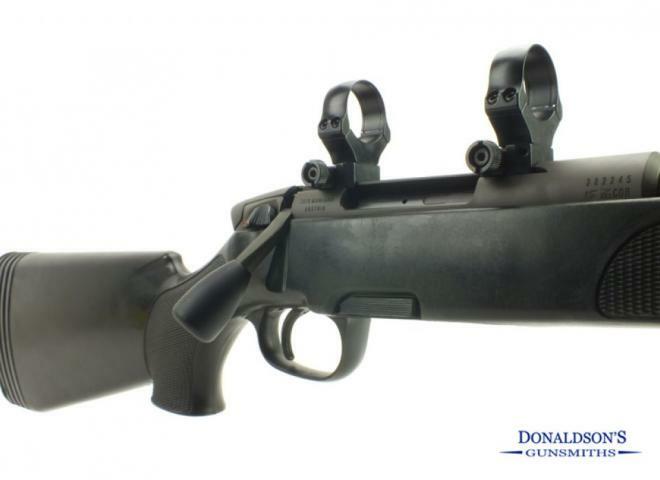 Bolt action rimfire rifle. Features: classic wooden stock with Bavarian cheek piece, checkered grips and handguard. With the typical STEYR MANNLICHER bolt handle and slide safety. 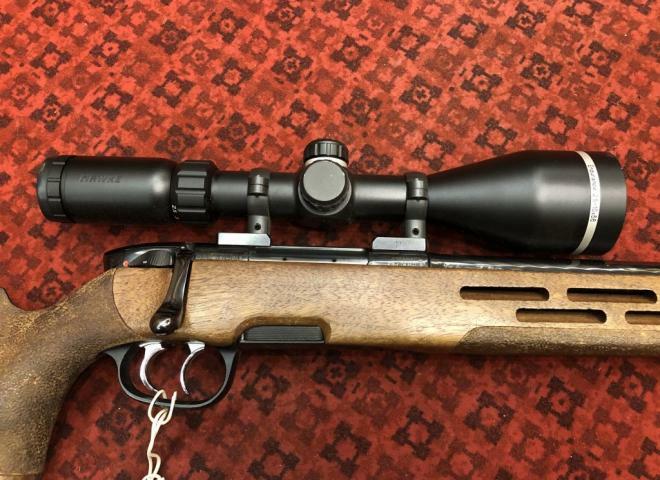 A very high quality light weight sporting rifle. 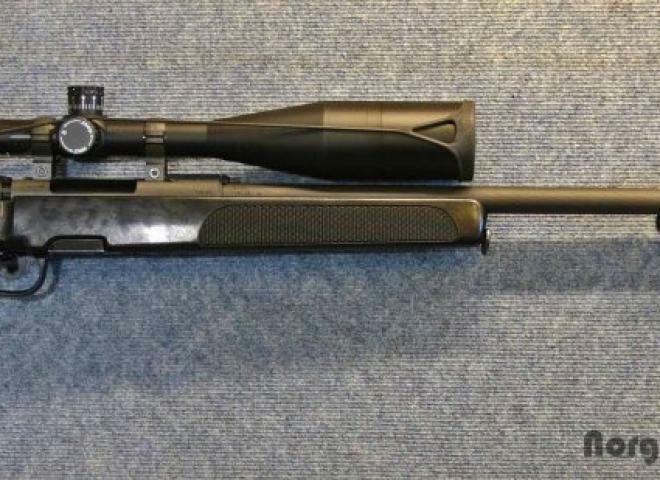 With Ultimax6 1-6 x24 scope worth £700 new. 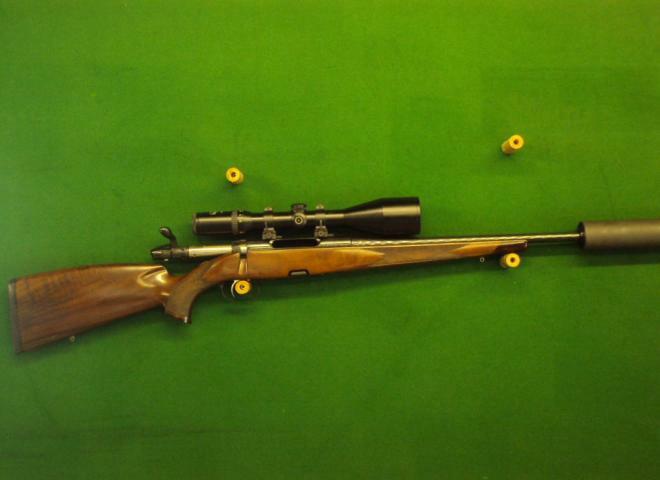 A superb quality .17HMR rifle by this renowned maker. With modern looks and styling, hammer forged barrel, 2 stage trigger, walnut stock, threaded for a sound moderator in 1/2" UNF. Gun was sold new 12 months ago. Gun was sold new 18 months ago. 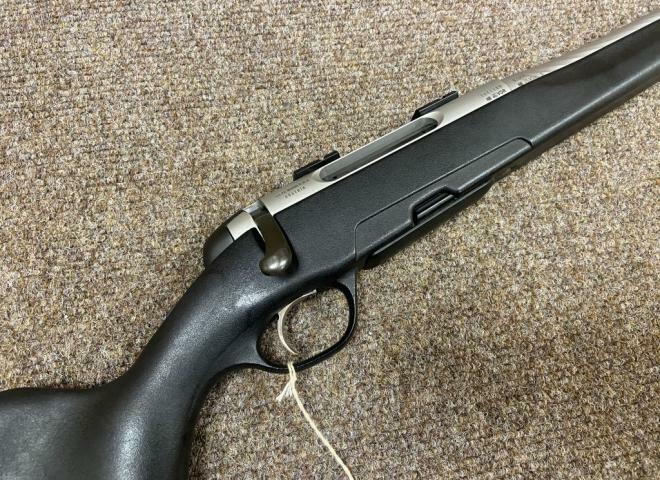 One off classic Maninlicher professionally fitted in a Steyr Pro Hunter stock. This rifle is chambered in 7X64 fantastic for all UK and European hunting as well as plains game and long range shooting. This rifle is in as new condition having fired less than 100 rounds. It has been screwcut 1/2" UNF and proofed. Comes complete with a replacement synthetic stock, Leupold mounts and rings, with a Swarovski 8 x 50 scope. A true long range rifle in a legendary calibre. Stunning accuracy from this quality maker. Condition is very good. Comes with Reflex T8 sound moderator, 30 mm rings & bases. Nice trigger pull, Save £1000.00 off the new price of this outfit. 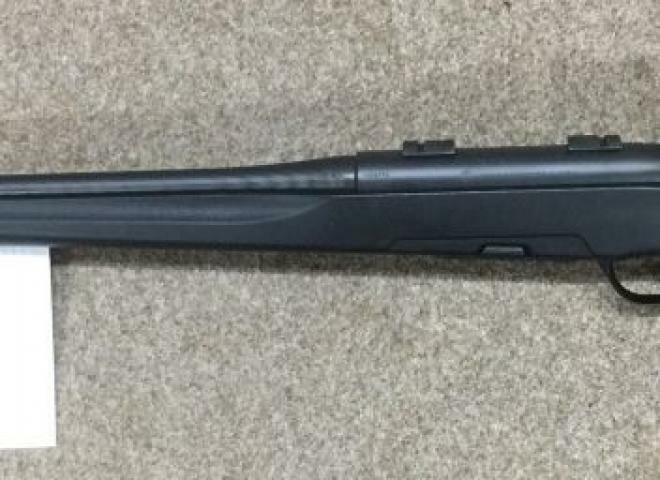 SYNTHETIC STOCK WITH HEAVY CANDY TEISTED 1:9 TWIST BARREL. THIS RIFLE HAS SHOT LESS THAN 1,000 ROUNDS OVER ITS MUCH CHERISHED LIFE. Stainless 23" barrel, screwed for moderator and set in a black synthetic stock. The action has a single set trigger. Rifle and reflex moderator have been proof tested.